Karnataka severe drought of over two years continues. Many rivers are running dry and water tables are depleting. 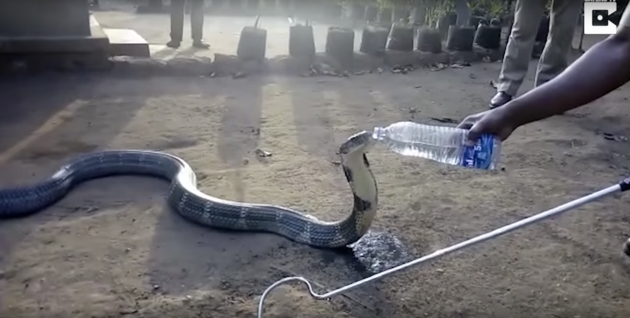 A Cobra came out looking for water in Kaiga village of Karnataka and guessing the reason a villager offered water from a bottle which the Cobra drank… a rare sight. We in India worship the Cobras and offer it milk and sweets. With the severe drought, looks like our animal brethren – snakes and others greatly appreciate water!